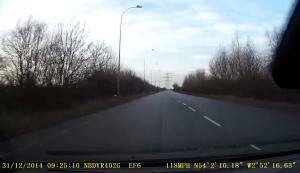 A car mechanic in Lancashire has been caught taking a customer's vehicle for a 118mph joyride. Wayne Clinning, 42, had taken his Ford Focus ST into a local garage for a service and change of tyres when he noticed that the car was returned to him with half a tank of petrol used up. The next time Mr Clinning took his car into Pye Motors in Morecambe he fitted a camera on the dashboard, which revealed that a mechanic had taken the vehicle for a joyride that included undertaking at speed, squeezing past oncoming traffic and driving on the wrong side of the road. Car mechanics can obtain a road risks insurance policy that will enable them to drive customers' vehicles as part of the repair process. However, if this insurance is abused or a mechanic is found to be driving recklessly it is going to be far more difficult for them to find a road risks insurance quote in the future, thereby damaging their chances of being able to perform this line of work. The footage of the mechanic from Pye Motors has been posted around the internet, although the member of staff guilty of the joyride has remained unnamed. The company says that the mechanic, who was reportedly working as an apprentice, has been the subject of an internal investigation and dealt with accordingly. Pye Motors director Helen Morley-Pye said: "We are deeply saddened by the reckless behaviour of one member of staff and his irresponsible actions have impacted on his own career, undermined the other 130 employees whom carry out great work on a daily basis, and brought the reputation of this company into disrepute. "As a firm we take any allegation extremely seriously and the incident has been duly investigated with an amicable arrangement reached with Mr Clinnings."